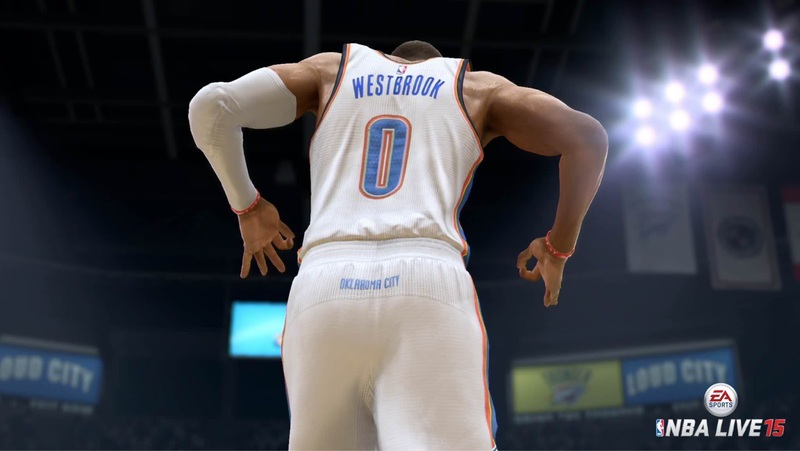 EA Sports have released their first trailer for NBA Live 15, and to be frank, it shows a huge improvement over NBA Live 14. Not surprisingly, the trailer spotlights NBA Live 15 cover player Damian Lillard – fist-bumping last year’s cover player Kyrie Irving, and amusingly, dunking over NBA Live 10 cover player Dwight Howard – as well as stars such as LeBron James, Kobe Bryant, Kevin Love, Rajon Rondo, Blake Griffin, and more. We’ll be getting some more trailers between now and October 7th.